Q. My parents are getting divorced. I don’t understand why the church doesn’t allow that. My mother told me they will be getting an annulment. What will my parents’ annulment have to do with me? A. Divorce is a very difficult part of life when it happens. I’m sure this is very difficult for your mom and dad as it must be for you. Please know that our loving God wants to be there for you and your family throughout this time. The answer to the first question you ask, “Why doesn’t the Church allow that” is found in the Bible. First, we read in the book of Genesis, “That is why a man leaves his father and mother and clings to his wife, and the two of them become one body” (Genesis 2:24). Then, in the Gospels Jesus makes reference to this and confirms it when He answers a question about divorce. He says, “…from the beginning of creation, ‘God made them male and female. For this reason a man shall leave his father and mother and be joined to his wife, and the two shall become one flesh.’ So they are no longer two but one flesh. Therefore what God has joined together, no human being must separate” (Mark 10:6-9). 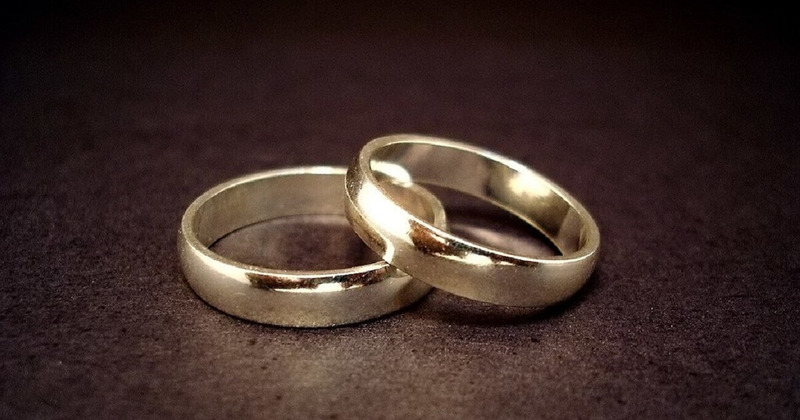 These Scriptures give us the foundation for what our Church believes about marriage. Basically, we believe that when two people get married they enter into a permanent unbreakable bond that last’s until death. Of course some marriages within our Church do end in divorce. When that happens some will look into an annulment. This is a complicated subject that is best dealt with one on one with your parish priest but let me at least offer a basic understanding on annulments for you. When a couple celebrates a wedding we believe that, for the permanent unbreakable bond of marriage to take place, more than just the wedding ceremony is required. It is also necessary for both parties to fully understand what marriage is and to make an unconditional commitment to marriage. They must both understand that marriage is permanent, faithful and open to children. Furthermore, they must both be mature enough in their understanding and commitment to enter into this commitment on a very deep level. An annulment is a process in which the Church assists those who have gone through a divorce examine what actually happened. It is a process where the intention and commitment of both parties, at the time of the wedding ceremony, is looked at in the light of the ideals of marriage. Sometimes it is discovered that one or both of the individuals lacked something essential in their commitment from the very beginning. When the Church determines that something essential was missing from the commitment from the beginning, the marriage can be declared null. This means it is stated that the permanent bond of marriage never truly took place and, thus, they are still free to marry. Lastly you ask what your parents annulment has to do with you. First, just from the perspective of Church law I’d say that it doesn’t effect you at all. But I know that on a personal level this may be difficult for you. If they go through with an annulment and receive one I’d simply suggest you pray about it, ask for God’s guidance and healing and continue to love your parents just as you do now. This will be difficult but often an annulment is very healing and helpful to go through once a divorce has taken place. I hope this helps. In the end you may want to try to meet with your parish priest to talk more about your particular situation so as to gain a better understanding of this all. Divorce is very difficult but please remember that God loves you and your parents very much and wants to be there for you all during this difficult time in your lives.